Raymond Joseph Schott, age 92, died Tuesday, November 20, 2018 at his residence in Fort Wayne. Mr. Schott was born in Fort Wayne, Indiana on December 6, 1925 to the late Eugene A. and Marie (Huhn) Schott. He married Mary Joan Herber on August 26, 1961 at St. Jude Catholic Church in Fort Wayne. She preceded him in death on July 11, 2018. 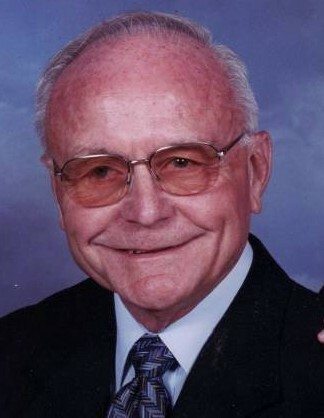 Ray was a teacher and guidance counselor with Fort Wayne Community Schools for 38 years. Son, Mark and Kathy Schott of Fort Wayne. Daughter, Mary Ann Schott of Raleigh, North Carolina. Four grandchildren and four great grandchildren. He was preceded in death by three brothers, Eugene, William, and Robert. Mass of Christian Burial will be Friday, November 23, 2018 at 11:00 AM at St. Peter’s Catholic Church, 518 Dewald Street, Fort Wayne with viewing one hour prior to the funeral mass. Fr. Tyrell Alles will officiate the funeral mass. Burial will take place at Catholic Cemetery, Fort Wayne.